Water Damage Emergencies in Orlando need to be handled immediately. Whether it’s Flooding in your home, apartment, or business you need a quick and trained response team that can return your life or business back to normalcy ASAP. At Premier Restoration we know the urgency of an unlivable situation. We help our clients every day deal with their Water Damage problems. We have multiple response teams throughout Florida who can come to your rescue fast. Our teams are ready to respond 24 hours a day, 7 days a week. 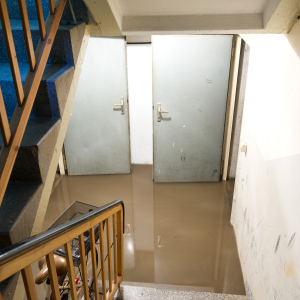 Water Damage can create lasting and extensive damage. Which is why it’s important to call our professionals immediately. They can evaluate the damage and begin the restoration process. What Is Involved In Fixing the Water Damage In My Home? Once we receive your call. A member of our team will be dispatched within the hour. They will assess the situation for give a FREE estimate. If you’re happy with our assessment. We can begin work immediately. We remove standing water with wet vacuums and pumps immediately. Carpets and padding will be pulled up to ensure the floors are completely dry. Our technicians will thoroughly dry appliances, furniture, draperies, and other household items to return them to pre-damage condition when possible. If you need to have your belongings moved to storage temporarily we can arrange for their transportation. Just removing the water damaged sections may not be enough. There may be extensive reconstruction work necessary. We are a full-service restoration company and so we can also help with this. Our IICRC Water Damage Specialists are also State Licensed in Mold Assessment and Remediaton. Our job is not done until we have removed airborne particles, mildew, odor resulting from the excessive moisture, and we have decontaminated and disinfected the area.